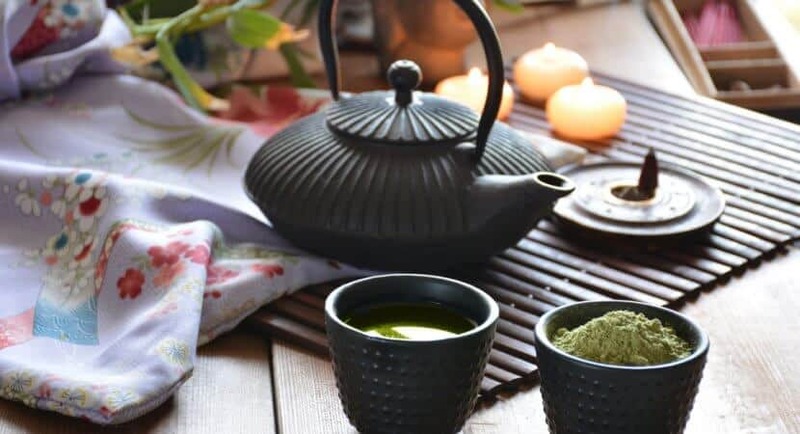 From traditional tea ceremonies that artfully prepare matcha to the palate cleansing konacha served at sushi restaurants, tea is an essential part of Japanese culture and cuisine. With dozens of different types, there’s a Japanese tea for everyone. Japanese tea tastes great. It gives you a whole slew of health benefits. There’s no reason not to try some. In this complete guide, we’ll cover everything you ever wanted to know about Japanese tea. You’ll learn how Japanese tea gets produced and how to choose a good tea. You’ll also discover what types of tea are the most popular and the best ways to prepare a cup at home. What Makes a Good Green Tea? How Do You Choose a Green Tea? What’s Your Favorite Japanese Tea? The term “Japanese tea” is synonymous with green tea. It’s the only type of tea produced in Japan. It’s also the most consumed. 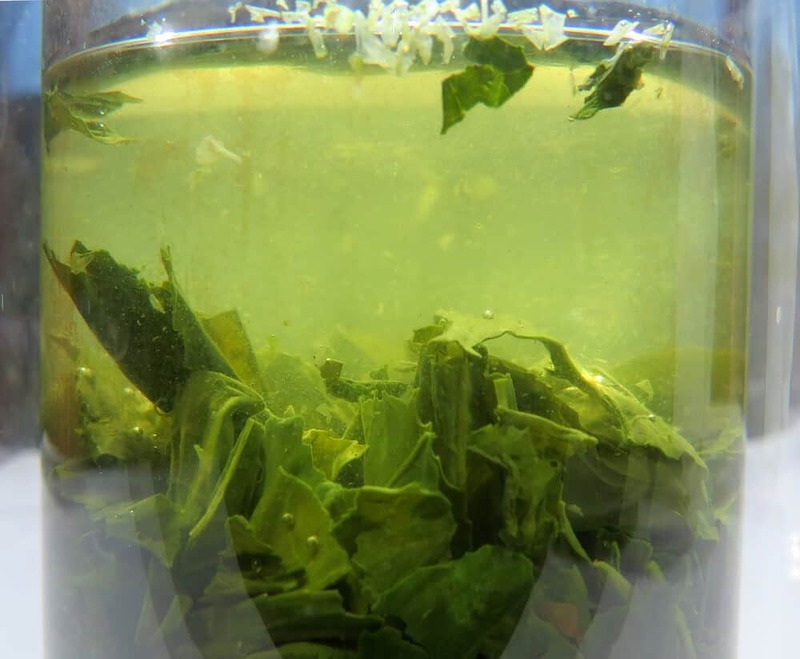 Green tea leaves don’t get fermented. The green color comes from stopping the oxidation of the leaves as soon as they get picked – before they turn brown. This process gives green tea a very distinctive flavor. It also offers a host of nutritional benefits. All green teas are heated up right after the leaves get picked. The heating stops the oxidization. Japanese green tea is unique because the leaves get heated through a steaming process. The process originated in China but disappeared there centuries ago. Chinese tea, like most other teas, gets heated on a hot surface (such as a giant frying pan). This gives Chinese teas a more roasted flavor – as opposed to Japanese teas that taste more vegetable-like (in a good way). In Japan, tea gets harvested three or four times each year. Leaves from the first harvest make the best tea. The first harvest takes place between the end of March and mid-May (depending on location). It produces the highest quality tea. The first harvest leaves are packed full of nutrients. They’ve accumulated during a winter of hibernation. 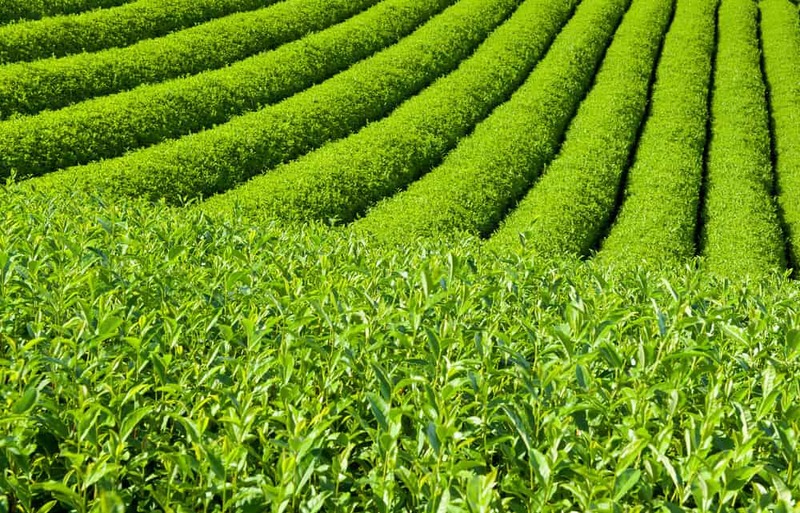 The second and third harvest each produce tea of a slightly declining quality. Sometimes there’s a fourth harvest as well. Most Japanese tea gets machine-trimmed. Some companies still use the hand-picking process, like in the olden days. Hand-picked green tea gives you a smoother, more mellow flavor and aroma. The leaves are of a higher quality than machine-trimmed. I suggest you go to a store and sample some teas in person. You won’t know what you like until you try several varieties. If you don’t have a tea shop near you, find a good, trustworthy tea producer or supplier who sells online. If you live in the USA, Ito En North America sells some high-quality teas on their website. The website Hibiki-An is based in Japan and gets their teas from Uji, Kyoto. Uji is a small city that is known for its high quality of green tea. Amazon also has a good selection of teas from Japan. Buy loose tea if you can. Loose tea almost always tastes better than tea from bags. This holds true not just for Japanese tea but for all teas in general. It’s important to know how fresh the tea is. When was the tea packaged? How long has it been sitting on a shelf? A good producer seals their teas in airtight packaging. The sealing replaces the oxygen with nitrogen gas to slow down oxidation. It keeps the tea fresh for much longer. Sencha (roasted tea) wins the popularity vote; it accounts for 80% of the tea consumption in Japan. Sencha grows in full sunlight and has the highest vitamin C content of all green tea types. It’s produced all over Japan and comes in a wide range of quality. You can find very cheap sencha products or if money is no object, you could spend some serious cash on premium tea leaves. Sencha turns a greenish-gold color when you brew it. It offers a refreshing, vegetable-like flavor that’s a perfect balance of sweet and bitter. 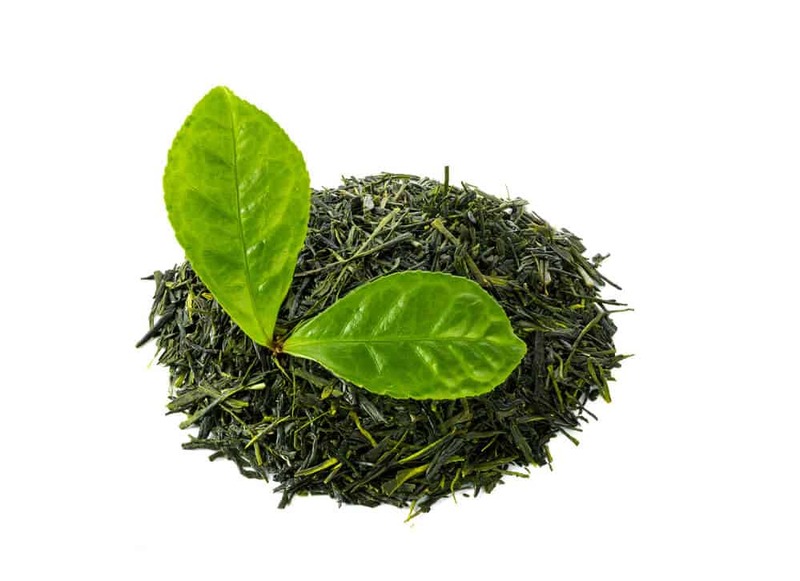 Sencha contains a high level of tannins compared to other types of tea. The tannins give the tea a sharp quality, making it good for palate cleansing before and after meals. 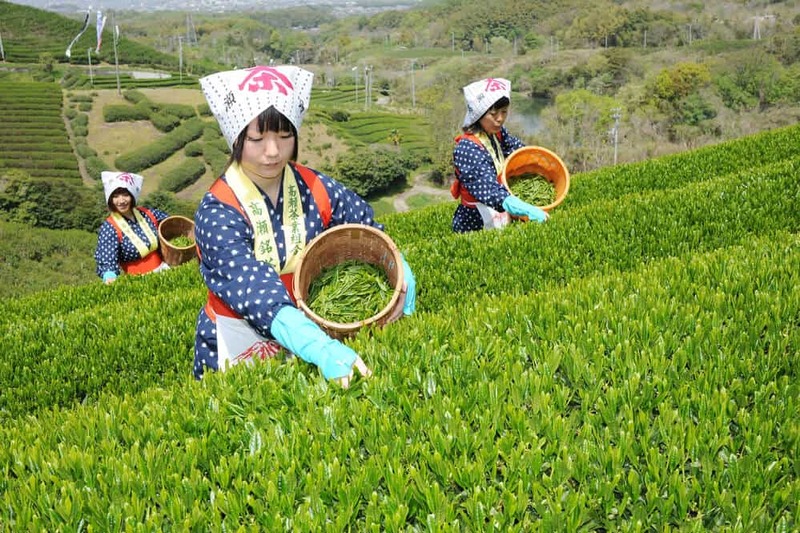 Shincha is picked in the first month of the first harvest. It’s prized for its sweet flavor and high vitamin content. As a starting point, use one and a half tablespoons (7 – 8g) of sencha leaves per 200ml of water. Sencha tastes best when brewed with water at around 179 degrees F (80C) and then steeped for 60 – 90 seconds. Ocha & Co. Premium Organic Japanese Sencha: An organic tea that’s delicious and smooth from Shizuoka Japan. Great quality for the price. ShiZen Tea Organic Sencha Superior Green Tea: Another great organic tea from Shizuoka. This tea is from the first harvest in Spring, which produces superior quality of tea. Gyokuro tea leaves grow in the shade for two weeks before they’re picked. Because of this method, the tea leaves contain high levels of L-Theanine. L-Theanine improves your mental clarity and focus. It also adds umami and sweetness to the flavor of the tea. 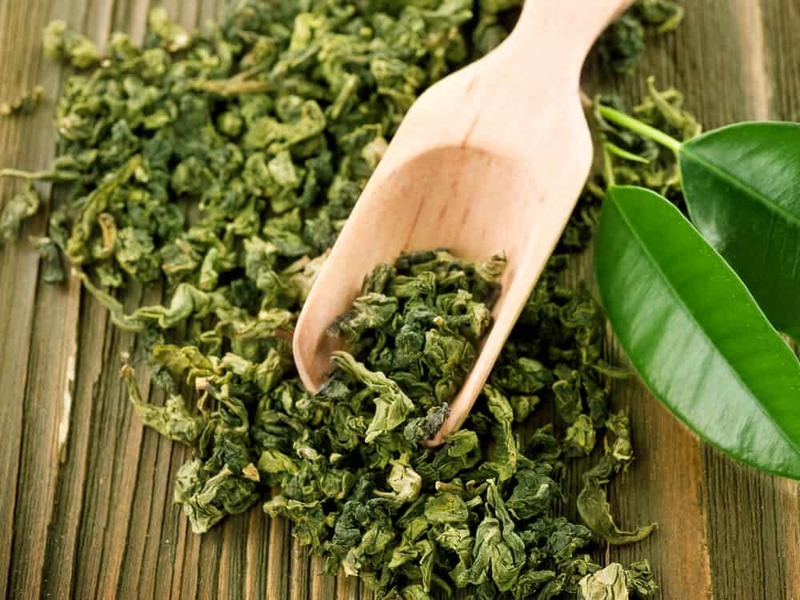 Gyokuro is high in caffeine and chlorophyll, which promotes healthy skin. Gyokuro is considered the highest quality Japanese tea. It’s usually the most expensive. 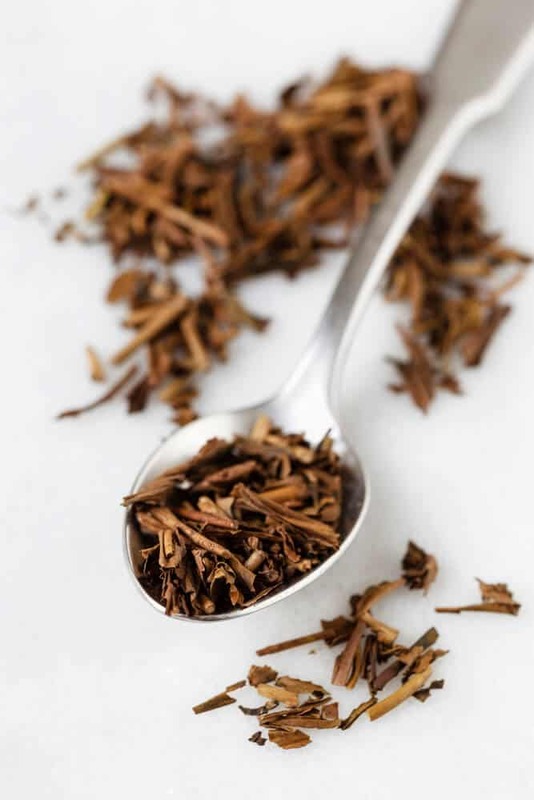 The smooth, umami-rich flavor and the nutritional benefits make the tea worth the steep price. It’s easy to recognize gyokuro tea leaves because of their deep, dark green leaves and rich aroma. Gyokuro tea brews at a much lower temperature than sencha – between: 122 – 140 degrees F (50 to 60C). It requires double the amount of leaves to make the best tea. There’s a traditional procedure for getting the best taste from your gyokuro. Gyokuro also tastes great served cold. 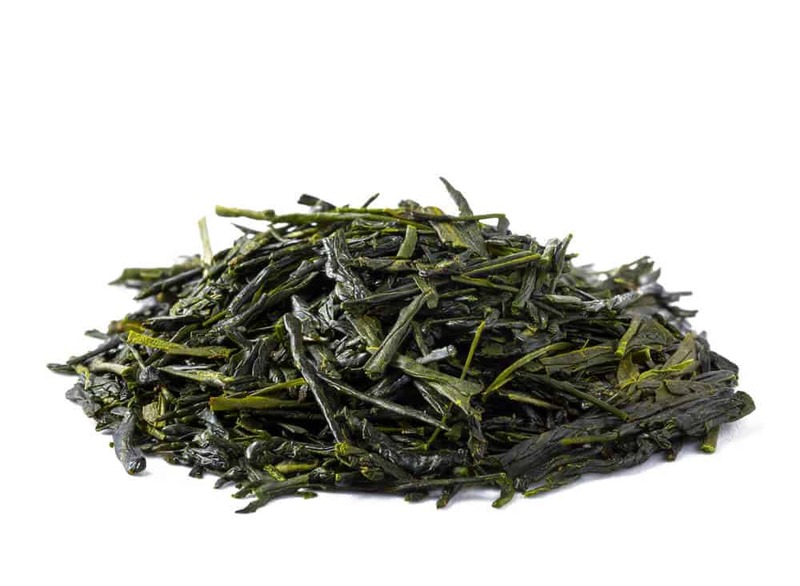 Tealyra Gyokuro Green Tea - Organically Grown: A high quality, great tasting Gyokuro tea at an affordable price. Greenhilltea Premium Gyokuro Japanese Green Tea: Another good option for Gyokuro tea that is full-bodied with a hint of natural sweetness. Like gyokuro, matcha tea leaves grow in the shade for a few weeks before harvesting. This intensifies the flavor and increases the caffeine levels. You can recognize matcha by its bright green color. The leaves then get processed into a fine powder. When you drink matcha, you’re drinking whole leaves (in powder form). This gives the tea more nutrients than regular steeped green tea. Matcha is rich in antioxidants called polyphenols. These chemicals are said to protect against heart disease and cancer, along with many other health benefits. Because you wind up drinking the whole leaf, the caffeine levels are closer to brewed coffee. 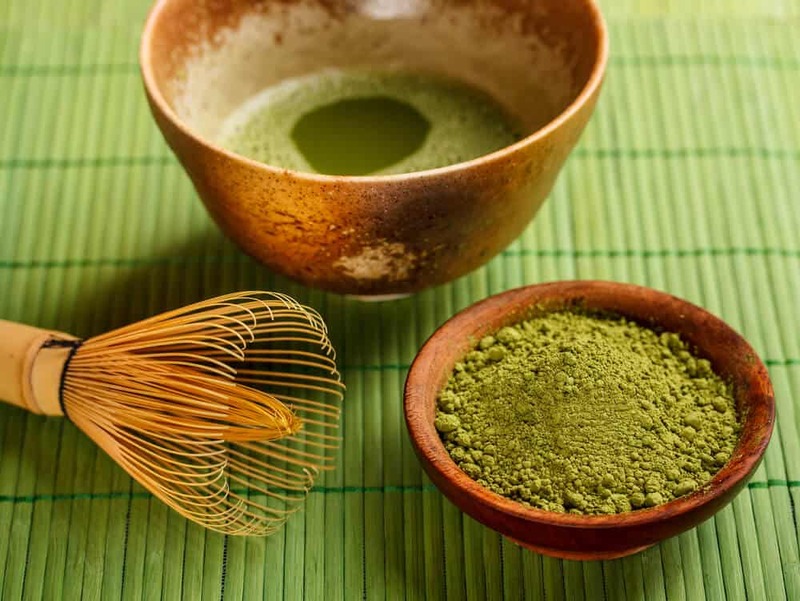 Traditional Japanese tea ceremonies use matcha. Have you seen a tea ceremony in person? If not, I strongly suggest checking one out. 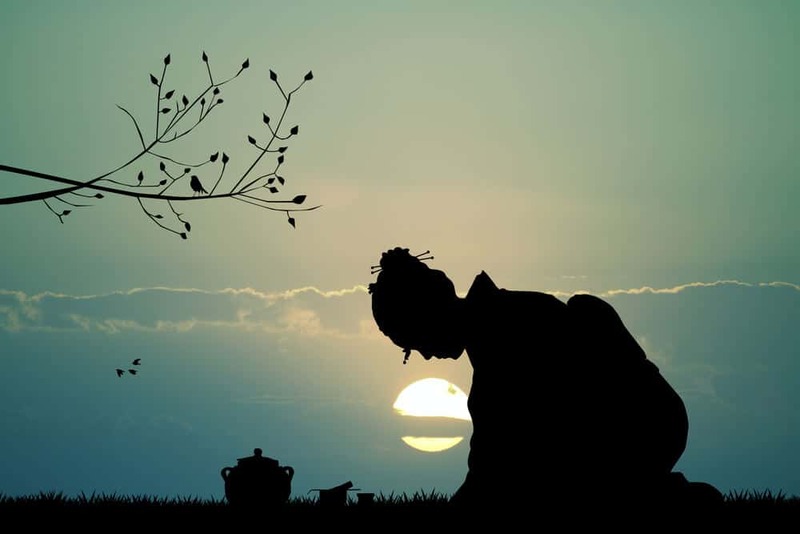 Preparing a cup of tea transforms into both an art and a form of meditation. Matcha is often used as an ingredient in Japanese cuisine as well. It adds flavor to traditional Japanese sweets and savory dishes. 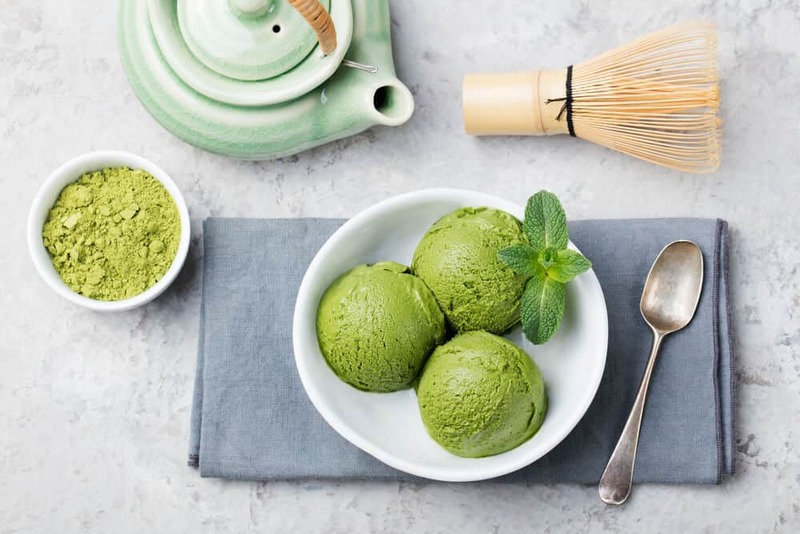 Matcha is currently a trendy flavor for beverages, ice cream, and baked goods, both in Japan and around the world. 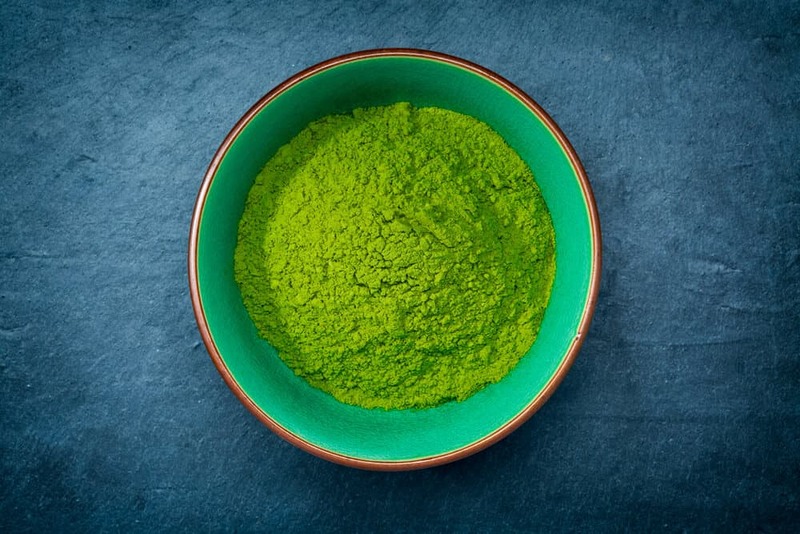 People rave about matcha’s nutritional value – and with good reason. You’ll often find matcha on the ingredient list in health drinks and smoothies. 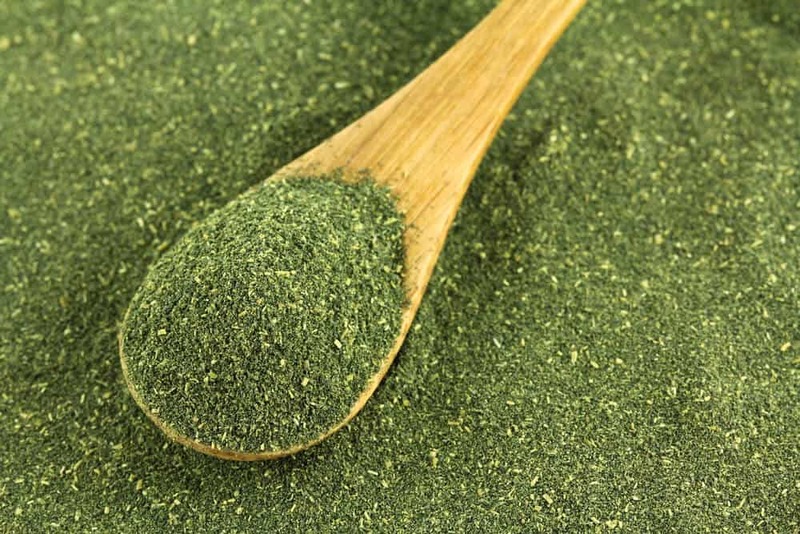 Jade Leaf Matcha Green Tea Powder: Amazing quality for an amazing price. This matcha is organic and comes from Uji, Japan, a city famous for their green tea. KENKO Matcha Green Tea Powder: If you’re looking the highest grade of matcha available, this is it. This matcha is ceremonial grade quality and is also organic. Konacha is made from the tiny specks and small leaves that didn’t make it into sencha or gyokuro tea. This makes the tea very inexpensive. Konacha has a very strong flavor, making it a great palate cleanser. Sushi restaurants usually serve konacha. The sharp tea allows customers to reset their taste buds after eating different types of sushi. Use one and a half tablespoons (7 – 8g) of leaves per 200ml of water. Brew water until it comes to a near boil, then add your tea. Steep for around 30 seconds. If you use loose konacha, make sure you have a strainer or straining device with small holes. You don’t want the small tea pieces to wind up in your cup. Yamamotoyama Konacha Sushi Bar Style Green Tea: This is a good product but is in tea bag form. 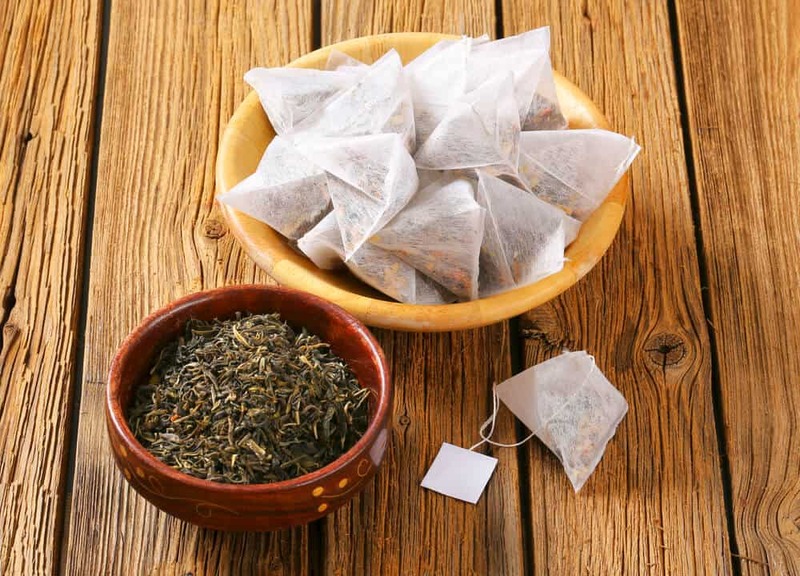 While loose leaves will have a better taste, the tea bags are very convenient if you want a quick cup of konacha tea. Bancha is sencha picked from the later harvests – sometimes as late as the fourth harvest in October. It’s considered a low-grade tea for this reason. It’s priced accordingly, making bancha an affordable option for an everyday tea. But this delicious tea shares many of the chemical components of high-quality gyokuro. It even has a higher content of catechin. So you’re actually getting the same nutritional benefits you’d get from a more expensive green tea… but for a much cheaper cost! Bancha is easy to brew because it uses boiling water and a very short steeping time. It’s a great green tea for a first-timer. Use a rounded tablespoon (2 – 3 grams) of leaves per 120ml of water. Steep for 30 – 45 seconds and serve. 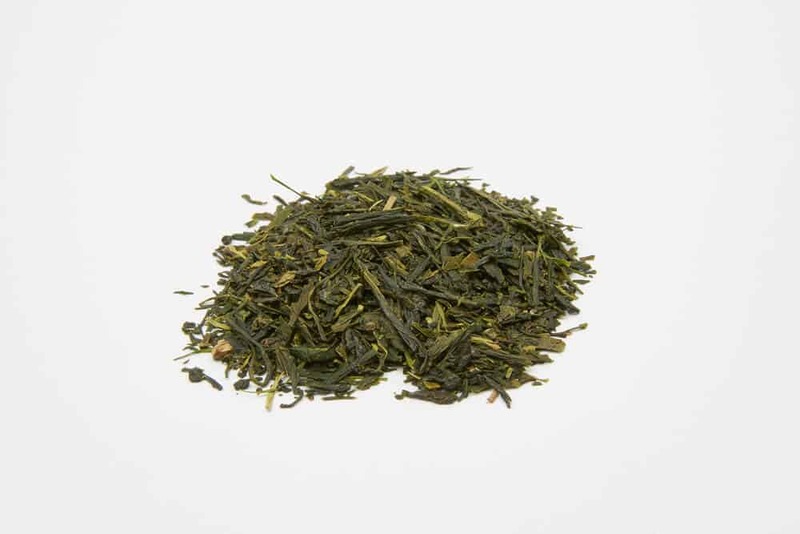 Hime Bancha Green Tea: This is a good bancha to get started with. It’s a good tea to drink when you don’t want to bring out the more expensive gyokuro or sencha teas. Genmaicha is an interesting combination of sencha and roasted brown rice. Genmaicha was once considered a tea for the poor because it was inexpensive. It contains a “filler” of rice to stretch the tea leaves. Today it’s enjoyed by everyone. It’s known for having a unique, nutty, and toasted flavor, thanks to the roasted brown rice. Genmaicha should brew using higher water temperatures than sencha – about 180 degrees F (82C). This high temperature extracts the unique flavors of the rice. Use 1 – 2 tablespoons of genmaicha per 200ml of water. Steep for 30 – 60 seconds and serve. Yamamotoyama Genmaicha: This is genmaicha in teabag form. The quality is pretty good, and is a great option if you’re looking for the most affordable cup of genmaicha. Itoen Genmaicha: A little more expensive than the Yamamotoyama brand above, but the quality and taste top-notch. Teas Unique Genmaicha: This is a loose leaf tea that is a blend from serveral farms in Kyoto and Nara. If you’re looking for the tastiest cup of genmaicha, this is the one to get. Houjicha gets made from bancha tea leaves. They come from the later harvests of the year. But there’s one crucial step added at the end – the leaves get roasted. 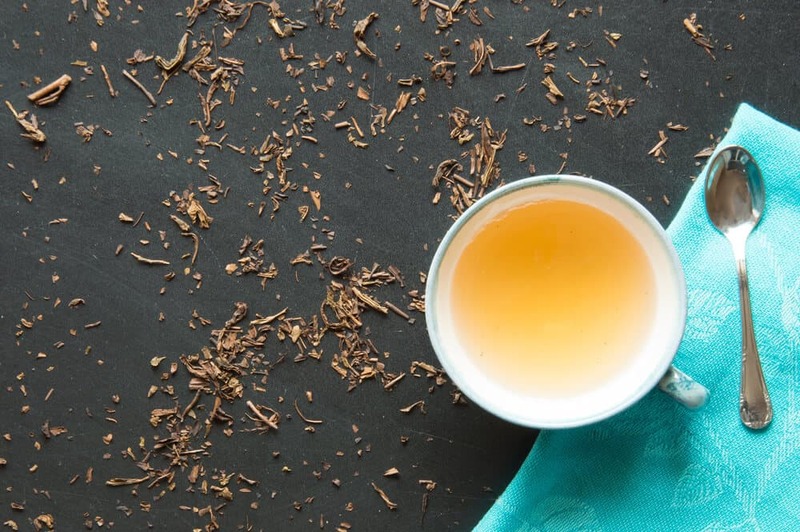 Roasting houjicha gives it a smooth, nutty, earthy flavor, making it a great tea to drink with meals as well as on its own. Houjicha is very low in caffeine due to the roasting. It’s often given to children and people recovering from an illness. It’s a great alternative for people who don’t like the sharp taste of sencha. Houjicha is very mellow and easy to drink. Use 3 tablespoons of leaves per 200ml of water. 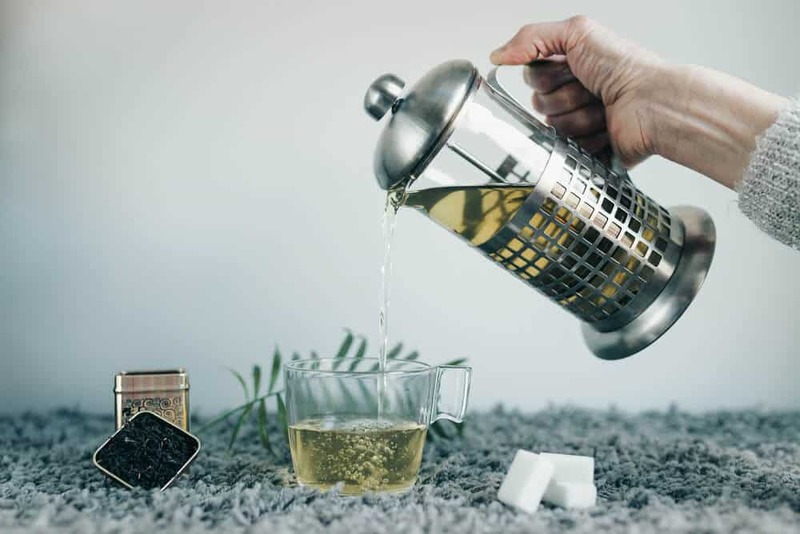 Brew your houjicha by pouring boiling water over the leaves and let it steep for 30 seconds (or a little longer if you prefer a stronger flavor). The higher temperature brings out the smooth, nutty flavor. Houjicha also tastes delicious served cold. ShiZen Tea Organic Houjicha : This is a winner. The price is amazing for the quality of this tea. Itoen Hojicha: If you’re looking for a teabag version, this product from Ito En produces a really good cup of houjicha. 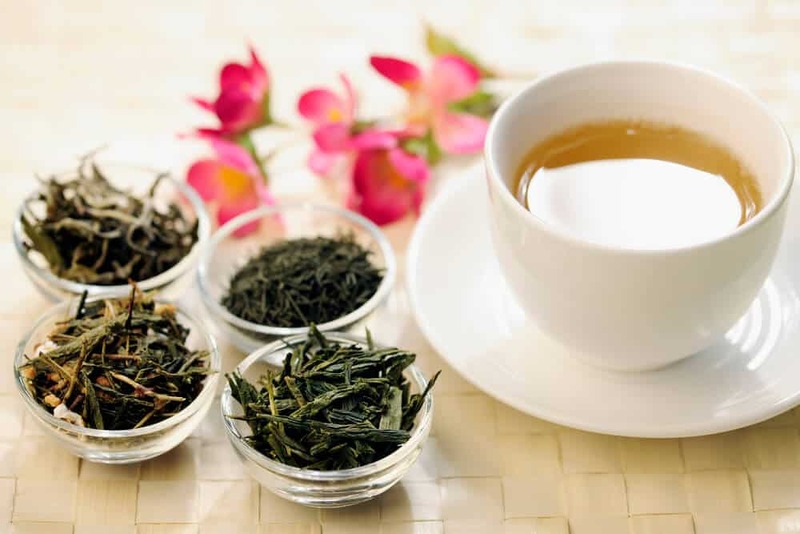 Each green tea type has its own ideal brewing methods. Having said that, here are some general tips on how to make a great cup of green tea. Most green teas do best with water between 160 – 180 degrees. Don’t use boiling water (except for bancha and houjicha). Some teas, like gyokuro, should brew at lower temperatures for the best flavor. 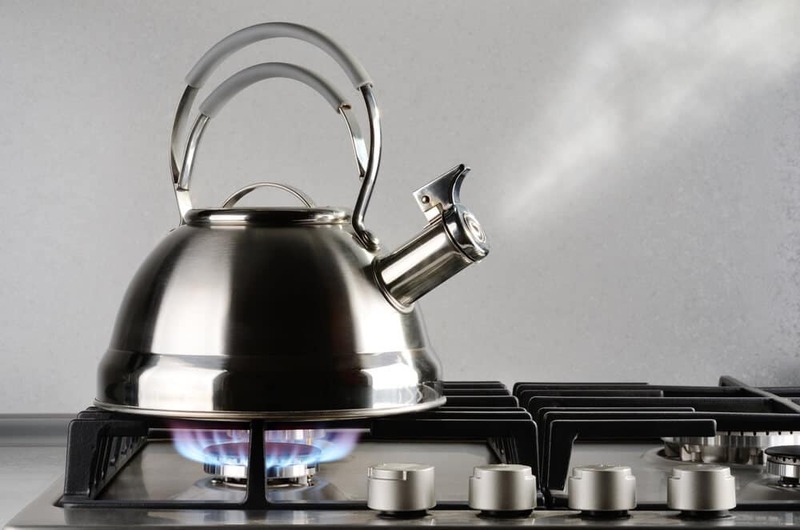 Boiling water will make a bitter cup of tea. It also ruins nutrients such as catechin, which are good for your health. Steeping time is different for each type and quality of green tea. A minute to a minute and a half (60 – 90 seconds) is a good rule of thumb for most teas. After a minute, try a taste. You can always steep your tea a little longer if you want a stronger flavor. Have you finished your cup, but still want more tea? No problem. You can steep your green tea 2-3 times without much loss of flavor. The water you use determines how good a cup of tea you make – just like with Japanese rice. 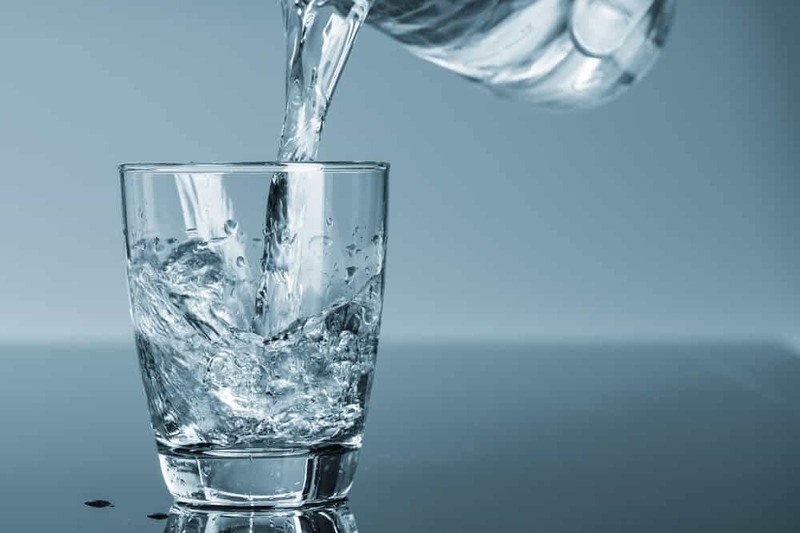 Try to use quality water, like mountain spring water. The more leaves you use, the stronger the tea tastes. Different types of tea call for different leaf to water ratios. A good place to start for green teas is 1 and a half tablespoons of leaves per 200ml of water. For houjicha, use around 3 tablespoons of leaves per 200ml of water. You can also experiment to make the perfect tea for your tastes. Green tea tastes best when you drink it “straight.” The Japanese traditionally don’t add sugar or milk. Pour the tea slowly out of the teapot. This avoids clogging the strainer. If you make tea for several people, pour little by little into each cup alternately. This ensures each serving tastes the same and has the same amount of tea. Japanese tea is steadily gaining popularity all over the world. There’s a good reason why. It tastes delicious. It offers excellent benefits for your health. Japanese tea is a great alternative to coffee if you need a gentle caffeine push to start your day. 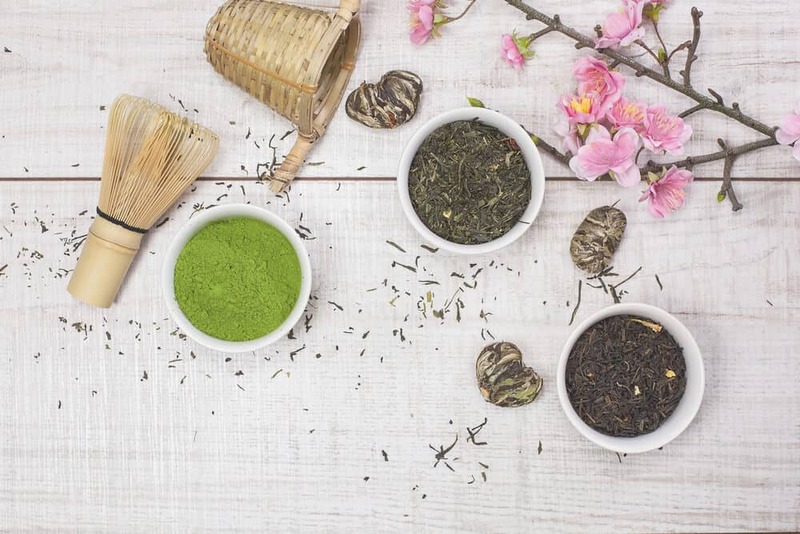 With so many different flavors and styles, there’s a Japanese tea for everyone… even if the ever-popular sencha is not your thing. 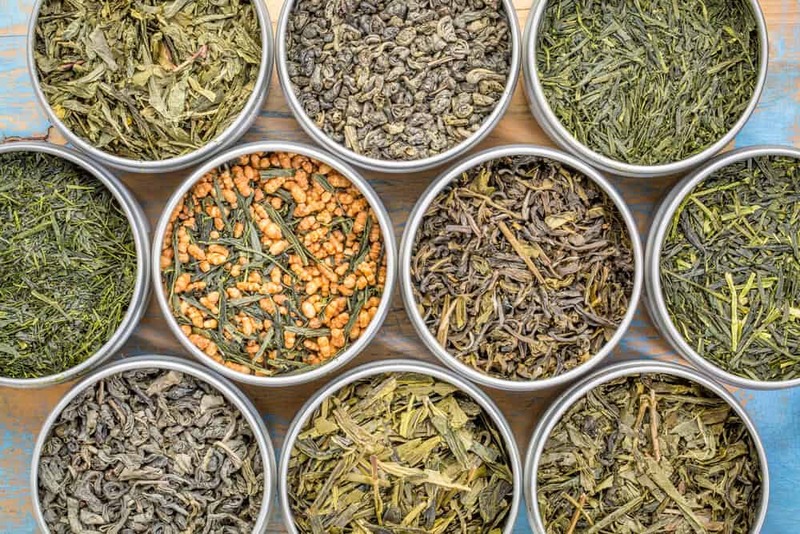 Use this guide to help you find and brew your favorite Japanese tea at home. You can enjoy the mental clarity and focus green tea’s been giving people for centuries. 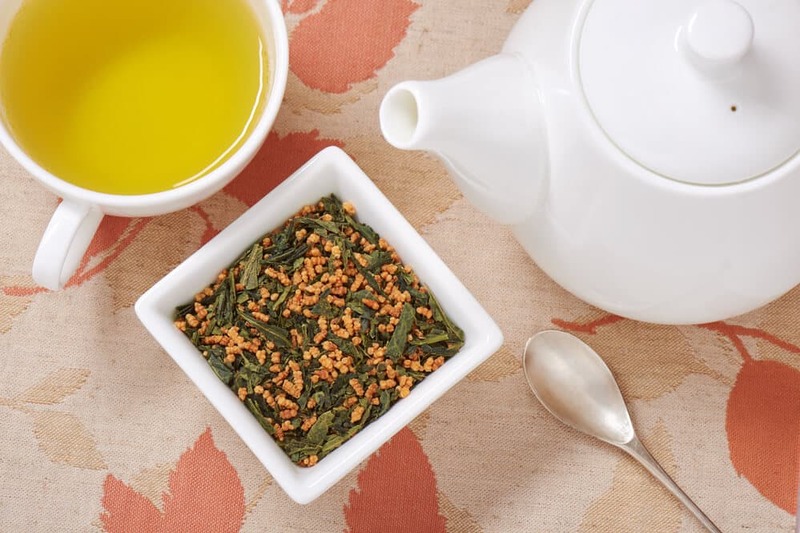 Do you prefer the nutty flavor of genmaicha? Or are you more of a traditionalist who loves matcha? Let us know in the comments. Also, if you haven’t had much Japanese tea, let us know which type you want to try the most. Would you like to try a classy, expensive gyokuro experience? Or are you more of the “down to earth” type with a hankering for bancha? We’d love to hear your thoughts. Don’t forget to share this article with your friends who like tea. You may have just found your next fun social activity… trying a new tea together! Let me know if you guys decide to drink some genmaicha… I might just join you!